For 100% Norway, Bjaadal is exhibiting two pieces from her ongoing project concerning containers as a means of keeping both the treasured and the trivial. Hegne is a container fashioned from turned ash or walnut with a domed ceramic lid. The oculus in the dome serves as its handle. 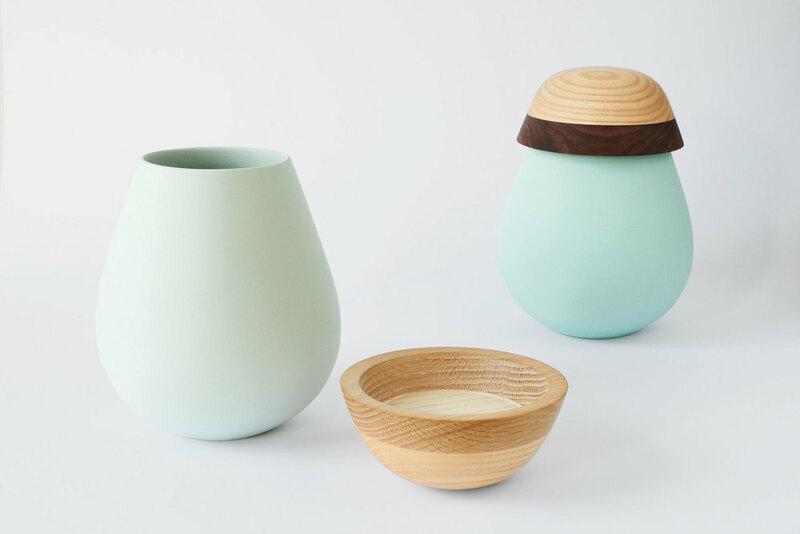 Made by hand, August is a coloured porcelain vessel with a wooden lid in solid ash and oak, or ash and walnut that can be used as a jar or vase.